TRADE PROGRAM FOR ANDREI PROTSOUK LEADING ART DEALERS, INTERIOR DESIGNERS AND GALLERIES. DISCOVER AND EXPLORE LIKE NEVER BEFORE THE EXTRAORDINARY FINE ART OF INTERNATIONAL RENOWNED CONTEMPORARY ARTIST ANDREI PROTSOUK. ANDREI IS ONE OF TODAY'S MOST GLOBALLY COLLECTED CLASSICALLY TRAINED FIGURATIVE ARTISTS! 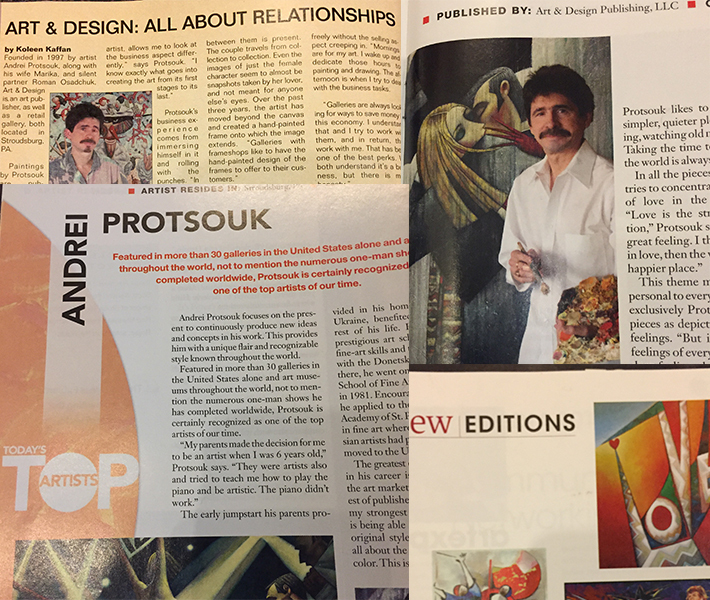 ART & DESIGN PUBLISHING is the official trade distributor of Andrei Protsouk Fine Art in the United States. We would like to provide your gallery with Andrei Protsouk's museum-quality contemporary fine art Originals, Hand-Embellished Limited Edition Giclee's and Ultra-Limited Framed Works on Paper. APPLY FOR YOUR FREE TRADE MEMBERSHIP TODAY! PUBLISHED FOR OVER 20 YEARS! ESTABLISHED FINE ART PUBLISHER - Over 20 years of publishing experience. EXCEPTIONAL CUSTOMER SERVICE - We have created over 100 dealer relationships in the past 20 years. PRICE TRANSPARENCY - Dealer Discounts, VIP Collector-Only Pricing and a Geographic Sales Protection Program. EXCLUSIVE ACCESS - ADP provides the largest variety of Andrei Protsouk's work anywhere in the world. GLOBAL SHIPPING SERVICES - Global shipping, support and crating. 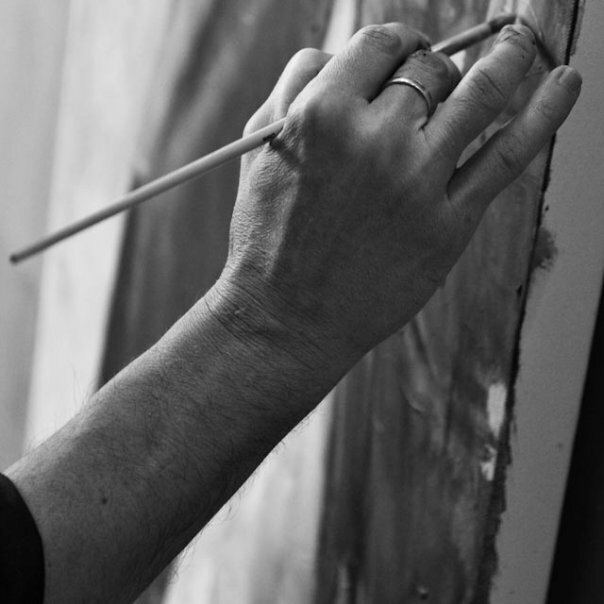 UNLIMITED ACCESS to bid FIRST on Original Artwork not offered to the public. UNLIMITED ACCESS to the NEWEST collections of limited editions months before the public. SPECIAL VIP Collector and Dealer pricing with discounts up to 60% off Retail Price! EXCLUSIVE priority for exhibition booking to accommodate your gallery's schedule. EXCLUSIVE priority for Inventory Consignment and exclusive originals painted specially for your gallery exhibitions. FLEXIBLE SHIPPING on all merchandise. APPLY FOR YOUR FREE TRADE PROGRAM TODAY! PLEASE FILL OUT A QUICK & EASY QUESTIONNAIRE AND GET APPROVED WITHIN THE NEXT 24-48 HOURS! NO CREDIT CARD REQUIRED! 100 % AUTHENTICITY - Every limited edition and artist proof giclee includes an official Certificate of Authenticity signed by the artist. HAND EMBELLISHED - Each limited edition giclee is hand embellished by the artist, making each print a one-of-a-kind work. SIGNED & NUMBERED - Each special limited edition is signed and numbered by the artist approval and careful inspection. EXCLUSIVE CARE - Special finish is applied to give each print a protection against UV light, moisture and scratches. MUSEUM QUALITY - High quality canvas prints stretched on heavy-duty stretchers and painted on the sides; ready for stand alone hanging. STATE-OF-THE-ART REPRODUCTION - Engineered for the fine art market, our prints have an ultra-high resolution, vibrant full color spectrum and to maintain the look and feel of the original painting. LIMITED QUANTITIES - Giclee prints are limited to 25, 95 and 195. Artist Proof Prints are limited to 5 or 10 numbers. ARTIST PROOF - In addition to hand embellishment, depending on the image, the Artist will further enhance the print with texture, paint and gold leafs (glued to the canvas) which will make each editions unique and special. Art & Design Publishing will never sell your information or send you unwanted spam. Your information is only used for VIP Membership Service to access information about our artists. © 2019 | Art and Design Publishing LLC | All Rights Reserved. This website is intended for trade only customers. Unauthorized use of this site is strictly prohibited.